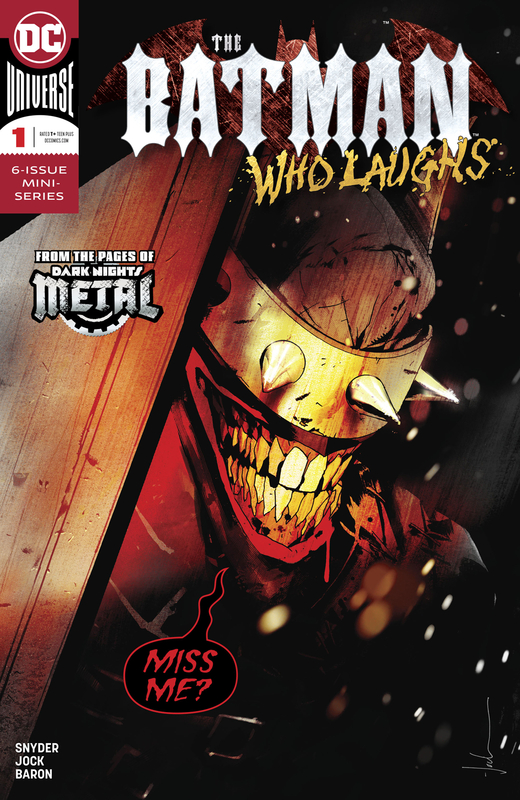 This book is in Batman Who Laughs (2018 Series). 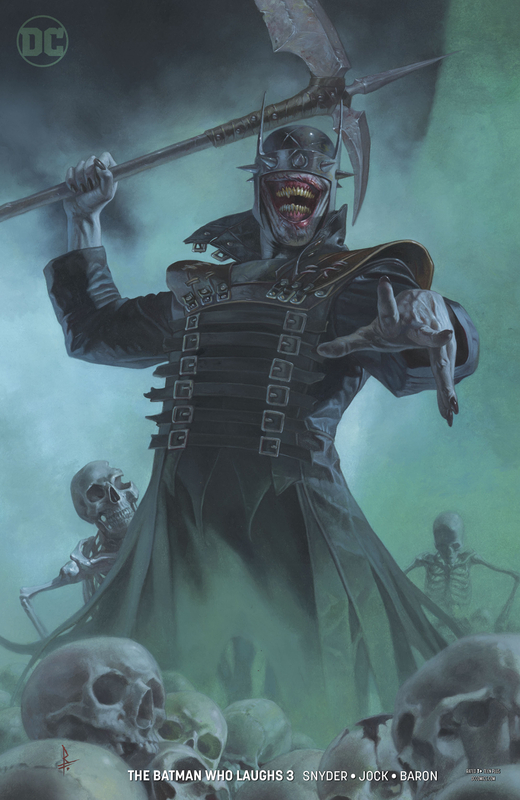 All the pieces are starting to fit together as the Batman Who Laughs acquires another key element in his plan-one that is linked to the founding fathers of Gotham City and to a legacy started by the Wayne family and protected by none other than Oswald Cobblepot. While the Penguin goes head-to-head with the darkest version of his mortal enemy, Batman is forced to compromise his principles and purge the serum that protects his heart from the deadly Joker Toxin! It's a no-win situation as writer Scott Snyder and artist Jock return to the sociopath they created in "Black Mirror": James Gordon Jr.